HQ-1601--15 PCS. PRECISION SCREWDRIVER SET. 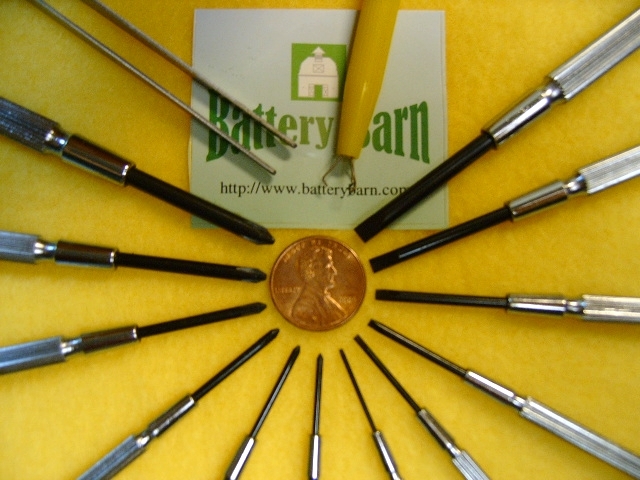 1 mm, 1.4 mm, 2 mm, 2.4 mm, 3 mm, 3.8 mm, total six head screwdrivers. No.0 , No.0-4, No.0-3, No.0-2, No.1 , No.1-1, total six head screwdrivers.